Located in the most northern part of Honshu Island, Oma Town is known for its bluefin tuna. 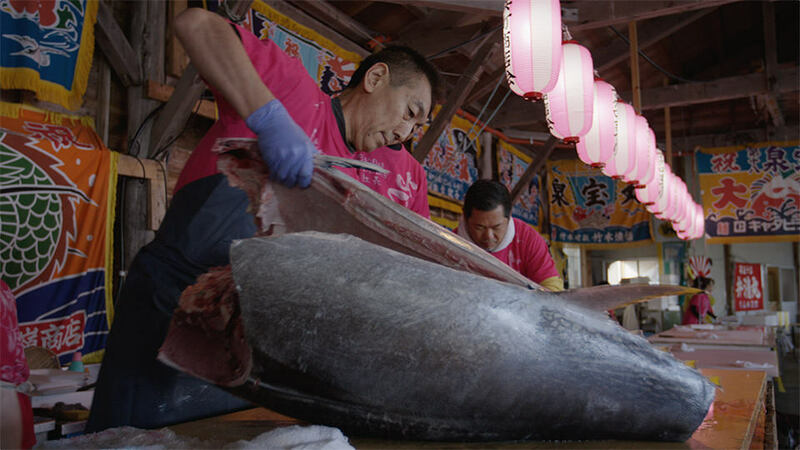 Every autumn, a giant-tuna-cutting show is held at the Tuna Festival where you can witness the power and skill of professionals in action. 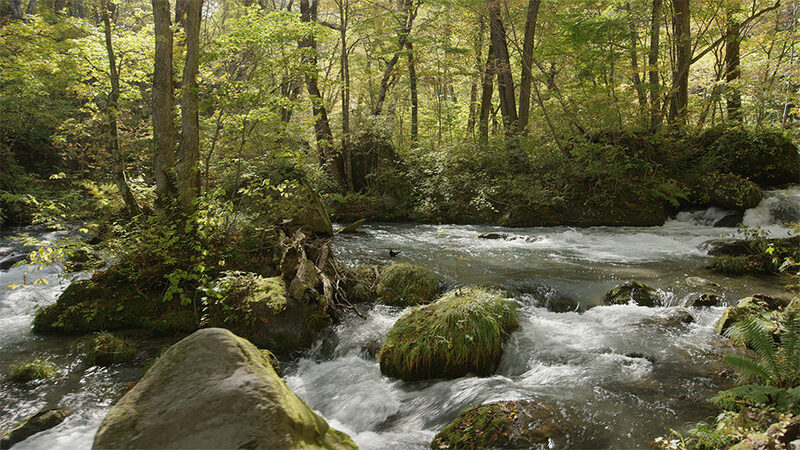 The contrast of waterfalls and autumn leaves through the mountain stream coming from Lake Towada is very beautiful. 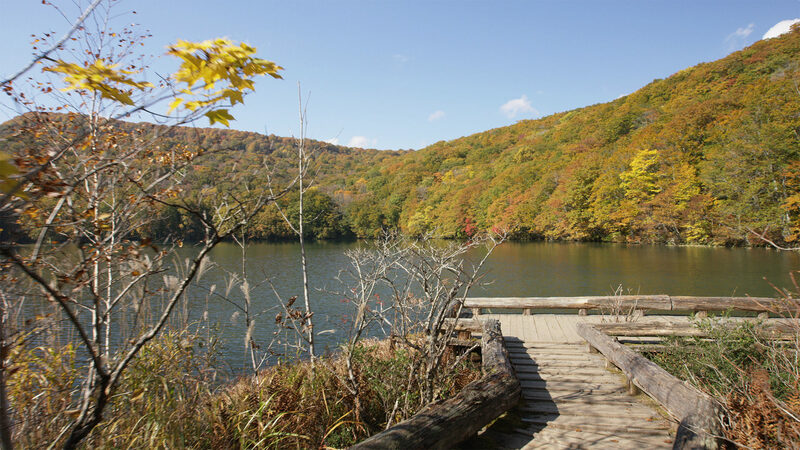 Promenades are well-organized, and tourists can enjoy the changing sceneries created by the deep natural forest and stream. 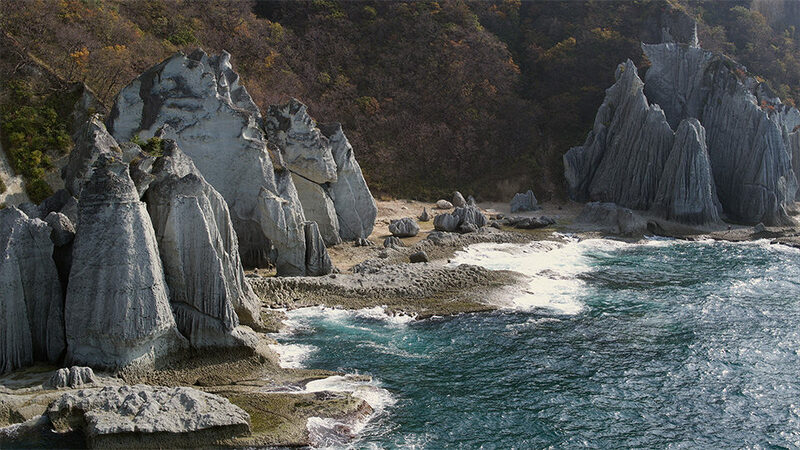 Located in Aomori prefecture on the side of the Pacific Ocean, Tanesashi Coast offers a myriad of splendid views such as that of the shore reef, sandy beaches and cliffs. 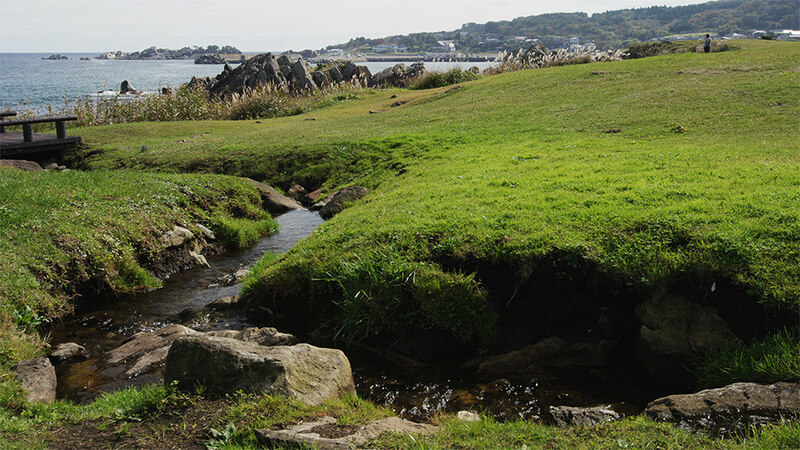 The view of the Pacific Ocean beyond the grass and right up to the shoreline is a must-see. A swamp located in central Aomori, surrounded by a virgin forest of beech and full of nature. 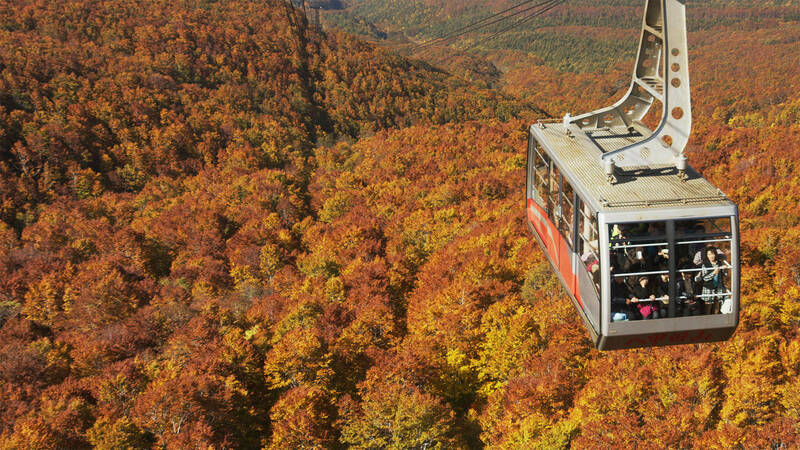 In autumn, the reflection of golden colored trees in the sunlight create a stunningly beautiful sight.